Congratulations for getting wed-locked soon!! That’s really a wonderful news, now coming to your wedding thing. I assume that you might have started preparing for your big day, from venue to caterer, outfit to make-up, and decor to photographer. I am sure you must have…. And why not, there is too much to do and too less time to do all those stuff, and believe you me time is tend to fly very soon, especially when you think you have lot. Everyone wants to get the best for their wedding day from soup to nut, still mistakes do happen amidst all the preparations. Today, we will talk about the mistakes, the gaffes that couple make while hiring wedding photographer for their D-Day. 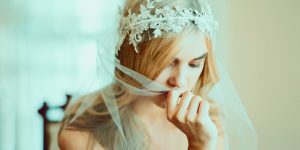 All the things that you should avoid while hiring your photographer are real-life experiences gathered here, just to ensure that you do not repeat them while hiring your photographer for the wedding. Your wedding is once in a lifetime event, that’s why it is necessary to avoid certain things to make it the most memorable one. 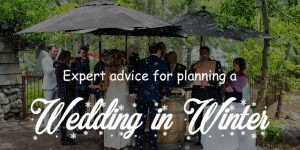 We have already covered articles on “best tips how to get amazing portraits on your wedding day,” “List of best destination wedding venues in India,” about your budget etc. Your wedding pictures are something that you get to see only after the Big Day is over. Rest everything you can see while planning and booking, from venue to decor, your outfit to your sandals, everything from large to small you can see during the process, the only thing which is left for the post event is your wedding album. That’s why it is indispensable to choose your wedding photographer keeping the below mentioned mistakes which couples in past have already done in mind before finalizing your wedding photographer. He is the one who is going handover not just his art but your memories of the day which you have been waiting since long. The wedding day that you have dreamt a certain way, your memories should also be your way. Well, I understand wedding is an absolute time taking process. It needs lot of time, and couples who have time constraint definitely find it tough to do all sort of study before booking their wedding photographer. Sometimes, they just in hurry or may be because of lack of time they book someone because his friend has referred. No man! You need to have a look at his work first. It’s your wedding after all there is no harm in being a little choosy, your friend might have a very good taste for sure but trusting someone just for the sake of friendship is no wise decision. You need to know the photographer and see his work at least once before you book him for the D-Day. While doing anything like this, please keep in mind that your wedding is once in a lifetime event and it won’t be repeated at all, such mistakes can lead to disaster later. It will not cost you much time of yours just a matter of few hours, but the outcome will be tremendously favorable, you will love your decision for sure. Alright, you booked your wedding photographer just by seeing his work online??? Really, do you have any idea how bad your decision could be? Well, let me tell you, it is very important to have a connection between the subject (couple) and the photographer. There has to be an understanding between you both otherwise how he would capture your great wedding pictures for you. It is always advised to meet your wedding photographer in person before booking him for the final day. More often than not, these meetings with the wedding photographers are recommended to know each other, and share your mind with your photographer, your ideas basically, he should know what exactly you are looking for in your wedding pictures, and accordingly he can conceptualize your D-day to make it the most memorable for you to cherish throughout your life. There are few couples who want as much as possible photographs of their wedding just to make their album look Fat, well, size of the album and the huge number of so-so wedding photographs will not add to your memories for sure. It is the quality which matters the most and you will love it when you will flip your wedding album days later, while in your honeymoon, re-living all those beautiful moments once again. Another reason for doing so is the budget, oh that’s okay you should always consider your budget in the first place, but if you will search, you will surely get a nice photographer in your budget too. While meeting the photographer tell him about your budget, I am sure he can give you a nice package in the same budget. Also, finally you can cut on the irrelevant photographs and keep only the ones you feel are relevant and best. How your album will look only depends on how your pictures are, your album’s outside design and its price will not add to your memories as much, that is only possible when you have such beautiful pictures in hand. Even if you have a budget constraint, do not compromise on the quality of the photographs, you can get the quality pictures in album even a year later than to have average pictures in your album for the lifetime. Just chill and do what is important at present, go for the quality rather to choose the album with average pictures. India, country of too many rituals, where both the parties want their photographers separately. In India it happens quite often, but in real it is the perfect wastage of money and nothing else. Also, it creates mess on the final where both the photographers would be fighting to get their best shots bumping into each other in doing so. In fact hiring one team for both the sides will be downright effective. Otherwise also, why should you waste your money on separate photographers, in fact in the same money you can hire a professional photographer and get the quality work which your generations will cherish upon seeing your photographs? Hiring separate wedding photographers for both side is a terrible idea to go with, it should be BIG NO, NO!! Well, in case of destination wedding or when the wedding is in different town, it happens quite a lot. Couples, in order to save some money couples accommodate their photographer in a distant hotel, which often help them save money but eventually they loose on good images. It is always good to house your photographer in the same place where all the other guests and you are staying, it will be convenient for the photographer to be available to capture all your candid moments of the wedding. Also, traveling back and forth to the hotel will cause a hindrance in smooth working of the photographer. Well, this is something which is committed by almost all the couples. They just either book their venue online or maybe someone else on their behalf does that, because they find it difficult to get time for that or maybe they don’t think visiting venue is important before the wedding. Well, your wedding venue is not just to host your wedding and welcome your guests in fact you need to visit it prior to the wedding also you should try to take your photographer with you so that he can have the entire idea of the venue and he can spot the places for couple photography on the wedding day. Only when you have the clear idea about your venue and you are able to give the details to the photographer only then he would be able to give you the best of your memories to you. Well, this is the era of smartphone, everybody these days carry his her smart phone along with. Most of the time when the garlanding or fera take place in the wedding all the guest start to interfere in between, blocking the way of the photographer finally, creating difficult situation for him. Though it is a bit difficult to control them, but it is advisable to take control of your wedding. Off course you cannot directly come and tell them when you are on the stage, its better to dedicate this duty to your brother or a close friend tell your guest’s politely to take their seats and not to intervene and block the photographer’s way. Couples most often do this mistake, they ask for the raw files from the photographer irrespective of the fact that a professional photographer will always hand over the very best shots finally, edited well to the best possible standard. Off course photographer never hand you over all the files except the ones you have chosen for the final album. There is point asking for all the images, what you will do with those pictures, the unedited, repeated ones. Why should ask something unreasonable. Go with the best ones, leave the rest ones. It is understood that you are very tired due to all the wedding related preparations, you feel exhausted due to the chaos which just happened in the wedding, when your sister forget where has she kept the wedding of the groom, however, all these things still can be managed. But if you will not cooperate with your photographer because of any such reason it will affect the final pictures of yours and you won’t be able to hold someone else responsible for that. Ensure that you cooperate with your photographer, trust him as he is the one who will help you have best of your wedding memories. Just because you have DSLR and you are passionate about photography doesn’t allow you to distrust your photographer. You need to trust your photographer as he is the one who is a professional, he is skilled in this art and he knows from which angle the best pose can be captured. If you keep on intervening he will feel annoyed and that may affect your pictures at the end. DO listen to him and trust him that he is doing his job better and will surely give you the best. You might have a budget constraint due to which you hired the photographer for only the ceremonies and not for the whole day, but believe you me, your wedding is once in a lifetime event I always keep on reminding this. Don’t compromise on your wedding photographs, if it about cutting cost that you can do in any other form also. 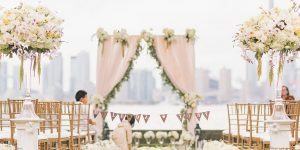 There are several expenses which look necessary but are not that important, so you can design your budget in such a way that you don’t have to compromise in your wedding photographs. Let your photographer click all the candid moments of your wedding day from the back of your outfit to the moment when your father see you for the first time in your wedding attire, from laughing and chatting of your wedding guests to having fun in the wedding, there are lot of such moments where a photographer can get the best of the pictures. Well, this is also a common mistake which people do in most of the cases. They hire a local or near-by photographer for their engagement shoot or pre-wedding shoot in order to save money on a professional photographer and this way they later face problems. Having same photographer gives you ease and comfort to work along on the wedding day and it helps him to get the best pictures of yours finally, which you off course would love to cherish forever. #14 NOT HAVING AN ENGAGEMENT OR PRE-WEDDING SHOOT. Well, pre-wedding shoots and engagement shoots are not mandate but yes, these shoots helps you become comfortable with the poses. Especially if you are a shy couple than pre-wedding shoot will help you come closer and also you will be able to understand your photographer better. 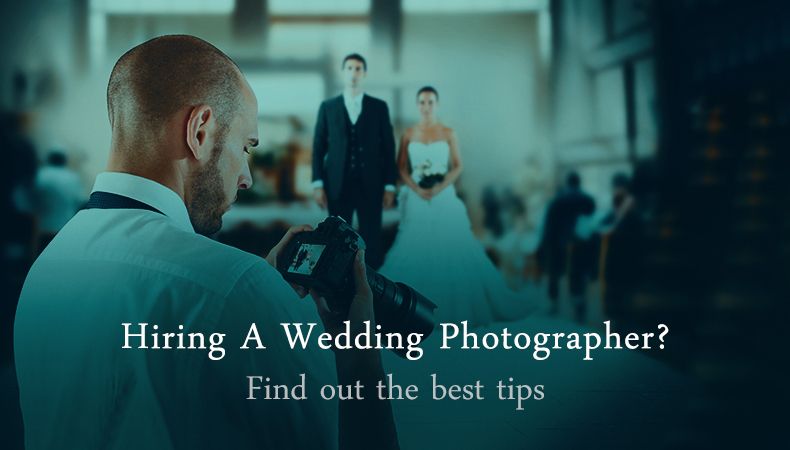 He will also build rapport with you and your spouse to be which help him click best pictures of your wedding. These shoots are a sort of warming up before going to the ring in real. Yes, your photographer is a professional photographer but how would he know who exactly to be captured, how many family photos, and stage photos you want. All that you need to tell him in advance so that he can capture the wedding photographs accordingly. Share a photo list with your photographer well in advance. Grooms are actually habitual of keeping everything in their pockets like their wallets, keys, phones etc., their pockets are always stuffed, sometimes it looks like things are about to fall from the pocket. As it is their habit they do it unknowingly even in their wedding, but this doesn’t look nice when your wedding photographs are captured. Oh, it’s only for a day you have to keep your precious keys and wallets away from yourself, it can be done not a problem, at least when it is about your wedding photographs. Give your things to your brother of your friend you can trust. Ohh! Biggest disaster, yes it can be disastrous to look for last minute booking and then getting disappointed. This can be a huge problem later, believe you me. Make sure that you book your photographer at the initial stage of your preparations. There are chances that you may think that photographer can be booked later but all the professional photographers are booked first, and if you keep sitting for the last minute booking just to have a great deal then let me tell you it’s not some honeymoon package or a travel booking where when few seats left are sold on cheaper prices. It is just opposite in case of wedding photography. Instead, in case of wedding photographers their prices go up in the wedding season and all the best ones are booked first. So, don’t wait for the right time and a great deal, book your favorite photographer as soon as you liked his work and you feel comfortable with him. It’s your wedding and to wait will not fetch you a nice result may be, it can be hugely disappointing in wedding photography case. My advice is as soon as you have your date and venue, find your perfect wedding photographer and get them booked for your final day and relax. Though, it is tough to stay away from your mobile even for a day but it is your wedding and not any official meeting where you need to carry your phone. If you will stay on mobile every time it will hamper your photographer to capture your best wedding photographs. Also, your mind will be distracted every time you get a call. Let your wedding happen without any disruption. Be in the moment and enjoy it completely. Last but not the least, your wedding photographer is known, a referral or a friend of yours whatever and so in the process you chucked to sign the legal contract or agreement with him. That’s where you went wrong completely. See, your relation with the photographer is absolutely different from the agreement. To sign agreement before booking your photographer is a mandate to make it legal. Also, it will save you from future disagreements and problems related to the project. Hence, signing the agreement is important, while you sign the agreement make sure that you read them carefully and see if everything is mentioned in there in detail like the number of images- both raw and edited, the duration or number of hours, the delivery time, liability, ownership of the images, payment terms, booking amount, usage rights, etc. everything should be mentioned in the agreement form. Whatever you decide and agree on with your wedding photographer should be put down in writing in a legal agreement/contract. This will not only save misunderstandings which could occur later but also brings clarity in advance and gives both the parties the ease and comfort to work well and get the best output. Though mistakes are inevitable sometimes and in case on Indian wedding, something or other happens but still when we know that there are certain things which can be controlled from our end, we should always try to control them. Above mentioned are the mistakes which couples commit unknowingly and which can affect their wedding photographs. It is always good to avoid all these mistakes and have the best memories of your wedding to cherish all your life. So, make sure that you consider and think about these above mentioned mistakes avoiding yourself from falling in the trap. 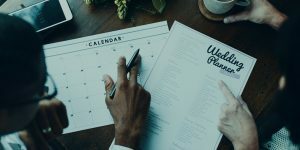 Hope this list helps you be make vivid decision without making mistakes and have a wonderful experience with your wedding photographer. All the best for your wedding enjoy it to the fullest… ☺ ☺ Search the best photographer and get the best one…. The professional one.